Strange things are afoot at The Virginia Beer Company and it looks like it is the long-awaited collaboration beer with Hardywood Park Craft Brewery. 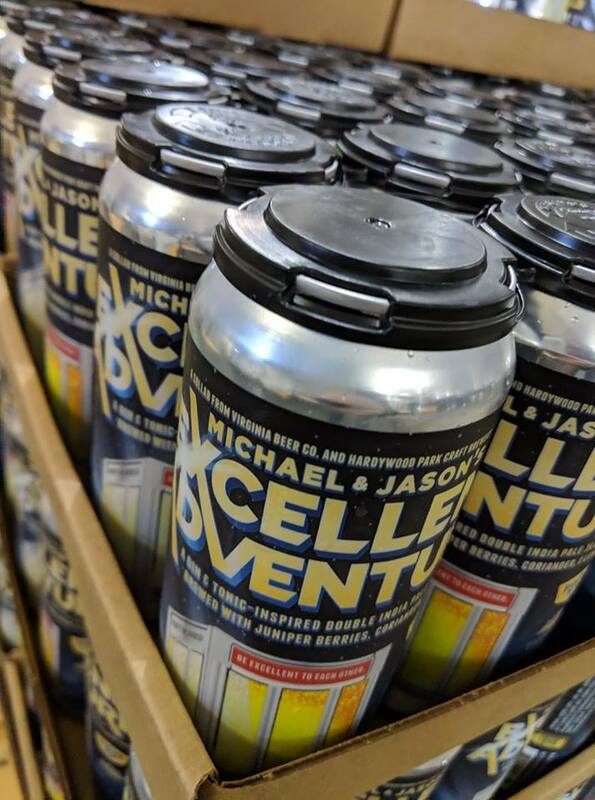 Michael & Jason 's Excellent Adventure is a DIPA inspired by a Gin and Tonic cocktail. No way! Way. Brewed with juniper berries, coriander, and lemon peel, this beer features a healthy dose of Huell Melon, Mandarina Bavaria, and Citra hops for a unique beer drinking experience. Join Michael & Jason when they #tapittilthebranchbreaks at Tap It Local -Western Branch. They will have limited edition glassware for the truly bodacious, so get here early!